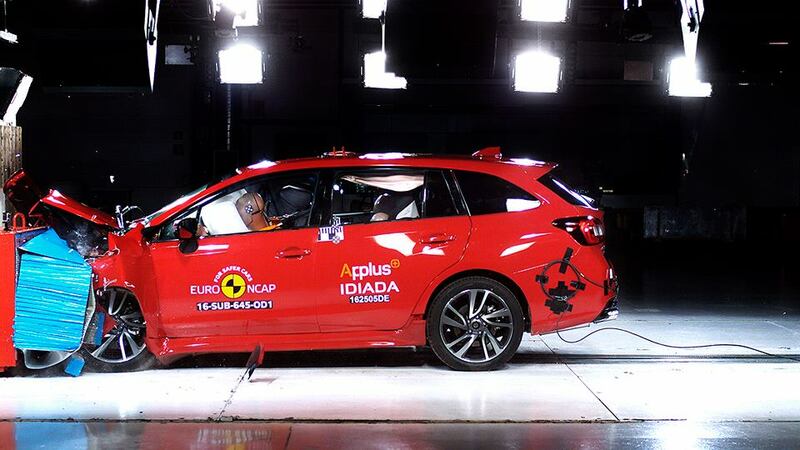 Fuji Heavy Industries (FHI) just announced that the Subaru Levorg sports tourer has just been awarded with a five-star overall safety rating by the European New Car Assessment Program or Euro NCAP. It gets the highest score possible after being evaluated for “Adult Occupant Protection”, “Child Occupant Protection”, “Pedestrian Protection”, and “Safety Assist”. The Levorg receives this accolade despite the Euro NCAP introducing a new test this year that checks how well vehicles autonomously detects pedestrians and how it well it prevents collisions with pedestrians. When equipped with Subaru’s EyeSight system, a driver-assist system using stereo cameras mounted in the windshield, the Levorg showed good performance in the new test. The EyeSight system also serves as the central nervous system of other assistive technologies such as pre-collision braking and all-speed adaptive cruise control. With the Levorg getting top honors, it marks the fifth time a Subaru vehicle is able to achieve such a feat. Other vehicles getting top marks are the Legacy, XV, Forester, and Outback. As the merits of the EyeSight system is gaining recognition worldwide, Subaru has also announced the roll out of EyeSight to more markets globally. Committed to its “Confidence in Motion” brand statement, FHI has announced the EyeSight is expanding to the Australian market after a good showing in Japan, North America, and Europe. Despite the Subaru Levorg getting the highest marks in the Euro NCAP safety test, it’s worth mentioning that the Philippine spec Levorg does not come with EyeSight as standard equipment.